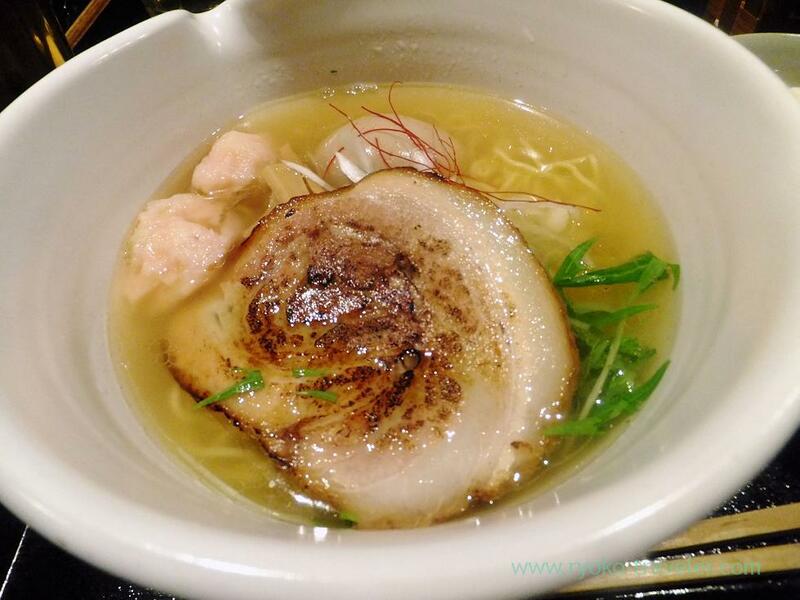 Ramen plus sea bream rice brings you a new impression ! 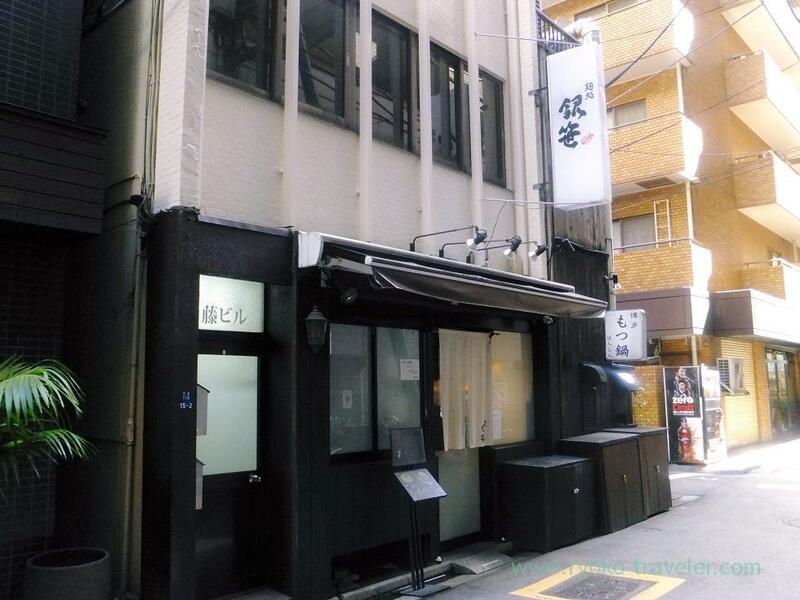 There’s a so popular ramen shop along the quiet street far from the center of Tsukiji. 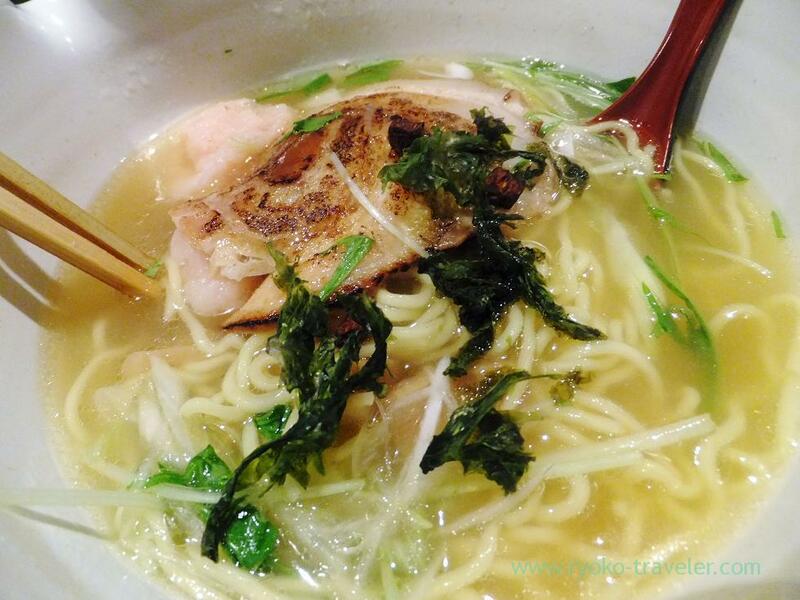 The shop is very popular because they serve not only ramen but also rice with sea bream. So almost all people order ramen and rice with sea bream. Of course, we did, too. You can’t eat up both ? No problem. They prepare half size of rice with sea bream ! They say “Half”, but actually, it is one-third of the regular size. The shop have two kinds of soup. Shio (salt) and Shoyu (soy sauce) flaver. I ordered a shio one. Our meals served like this. The soup and roast pork have fine color ! Grilled roast pork, sea bream and shrimp balls and potherb mustard. And shredded red pepper and green onion. The soup was very light. The balls had lots of ginger. After eating half of the ramen, we added separated ingredients.They say that we can enjoy the difference of the taste…. I couldn’t understand the difference !!! But the grilled roast pork was delicious !! 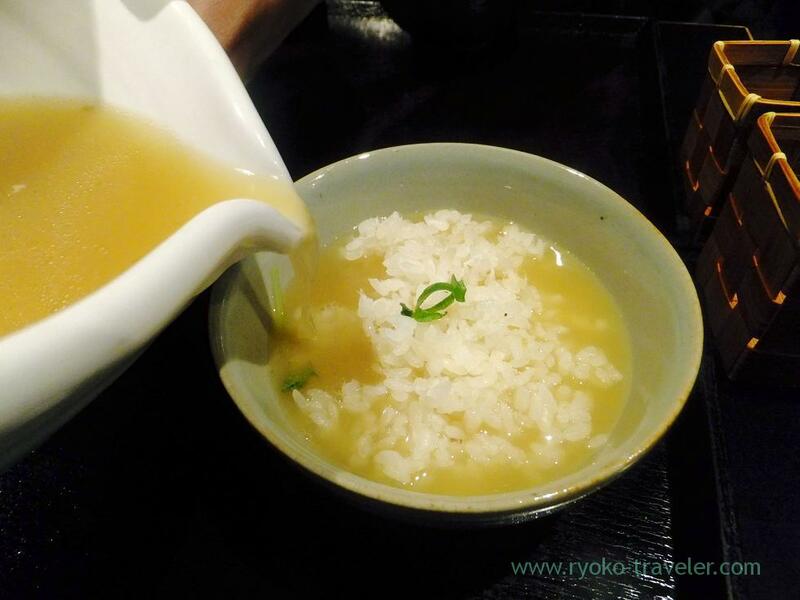 After that we tasted some rice with sea bream as it was and then we put soup into the bowl of rice with sea bream. 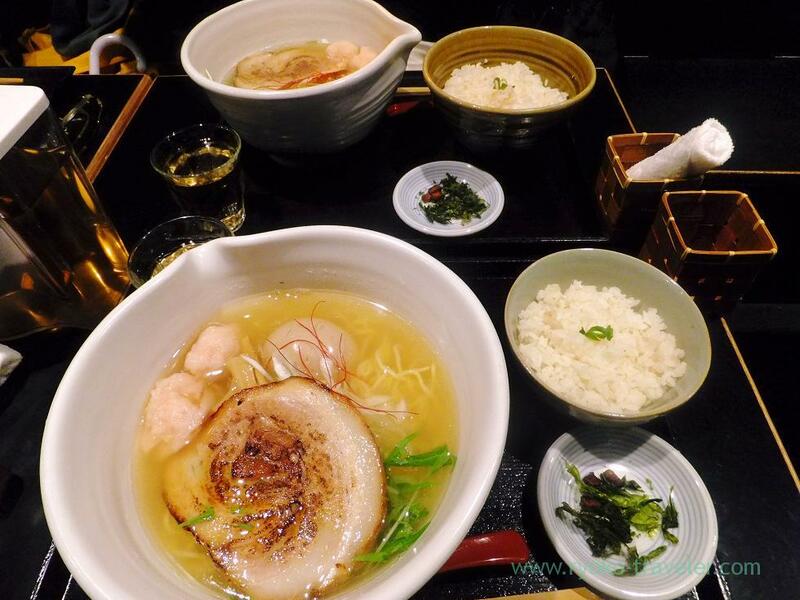 I felt the soup was weak just a little for ramen and the rice with seabream was hard boiled. By the combination of these two, one delicious rice porridge is completed !